Despite being a very small country with a population of little more than 5½ million people, Denmark has quite a diverse fauna of legendary creatures in all shapes and sizes. If you ask a Dane, whether he or she believes in any of these beings, they would without any doubt answer something along the lines of “Of course not!” And yet, we tend to take them very seriously. One of the more famous ones is the “nisse” or goblin that plays a leading role in Danish folklore, especially around Christmas time. The Natural History Museum in Copenhagen even claims to have a “nisse” skeleton in its collections, supposedly found during an archaeological excavation in central Denmark in the 1930’s. But even the fame of the “nisse” pales when compared to the lore and legend of the troll. 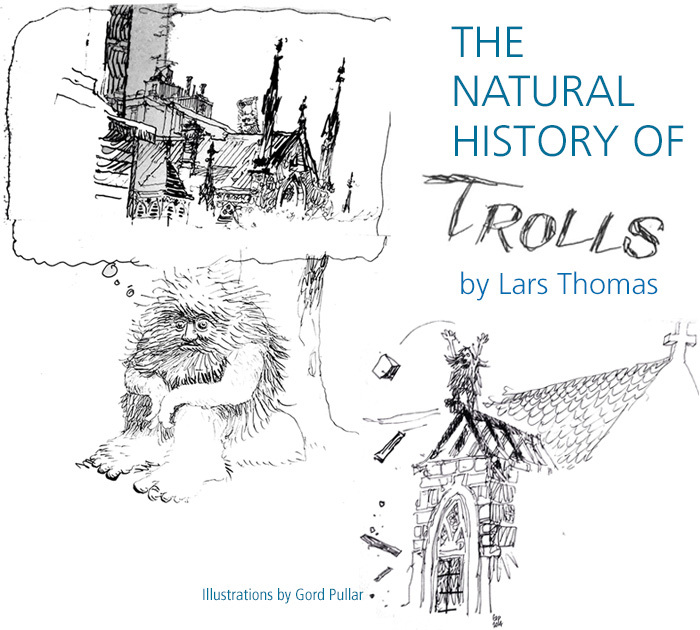 Trolls can be found not only in Denmark, but in large parts of the neighbouring countries in Scandinavia as well.